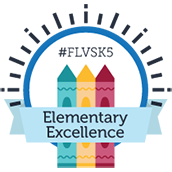 For families seeking a nontraditional or homeschool-friendly approach to elementary education, FLVS Elementary is an innovative program offering the added benefits of regular instruction from certified teachers, peer interaction, and online curriculum in core subject areas, including Reading, Social Studies, Math, Science, and Technology. Students in the program follow a semester-based schedule with flexible enrollment options available during the school year, allowing them to complete assignments following a suggested weekly pace with parent guidance. Scheduling can be adjusted to accommodate each student’s needs and enrollment date. Scheduled “Class Time” allows students to connect with classmates and teachers. Students meet with classmates and their teacher twice a week for online live video lessons or “Class Time,” giving them an opportunity to interact in real time. Want to learn more? View eligibility guidelines, a weekly schedule, and more here. Join us for Kindergarten Round-Up or an upcoming Elementary Information Session! Weekly elementary information sessions for students in Kindergarten – 5th grade will be held starting June 9, 2016. View our calendar of events for details. 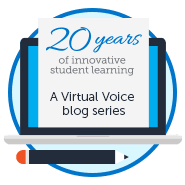 How does FLVS Elementary differ from FLVS Full Time? FLVS Full Time is a full-time online public school following the traditional school year. On the elementary level, FLVS partners with Connections Academy to offer Kindergarten through 5th grade. For these students, most curriculum content is provided in print and supplemented with online content. FLVS Full Time provides textbooks, lesson plans, and materials needed for a high-quality learning experience guided by a parent or learning coach at home. Teachers hold regular calls and online Live Lessons covering core grade level material and elective subject areas like Art and P.E. Learn more. As a fully accredited public school with a 180-day academic calendar that runs from August to June, it requires students to fulfill all public school requirements, including state testing. 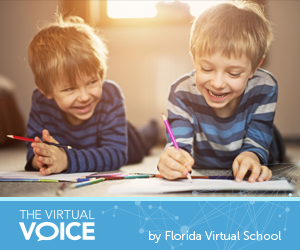 FLVS Flex also allows elementary students to enroll in higher-level courses at FLVS if they are academically ready for more advanced material. These core courses and unique electives are available throughout the year with flexible rolling enrollment. No matter what grade level you’re seeking, a new tool on our website can help outline all of our options – whether your seeking elementary subjects or high school courses. Explore your options and sign up today! This entry was posted in Educator Edition, Homeschool Edition, Parent Edition and tagged Courses, Elementary, Elementary Courses, FLVS Elementary, FLVS Flex, FLVS Full Time, Homeschool, Online Elementary Curriculum, Options, Tips for Parents on April 21, 2016 by Guest Blogger.